Brioche bun? Beer braised chicken gravy? Pure decadence. Lunch was an exercise in indulgence. La Brassiere sells a killer sandwich. 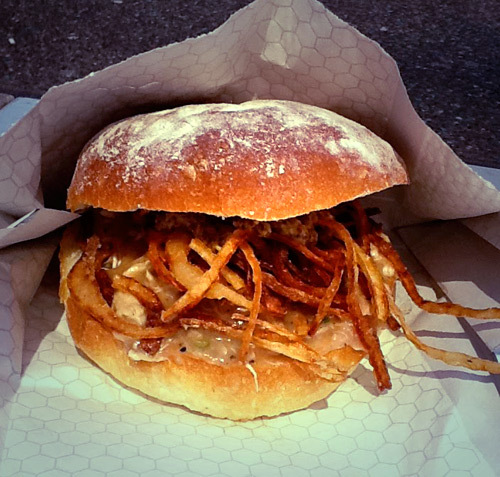 Try their Brass Sandwich - rotisserie chicken sandwiches topped with crispy deep fried onion strings in one of the softest buttermilk buns I've ever eaten. It was comforting, rich, and flavourful. I highly recommend it. NOM NOM it up!